Two former rivals in the Mid-Atlantic Conference have joined forces. 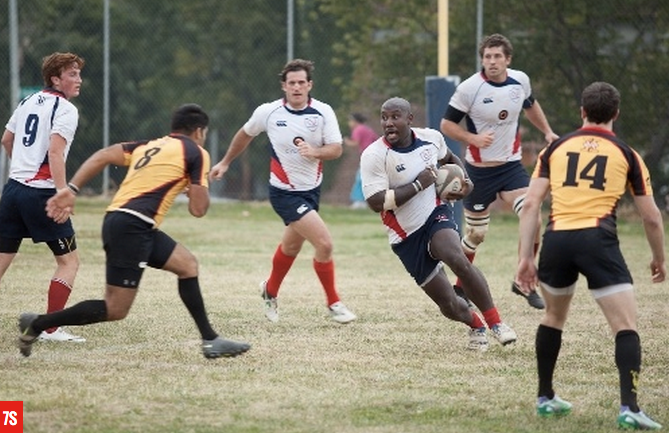 The Maryland Exiles and Potomac Athletic Club (PAC) have left years of bruised ribs and sore shoulders behind them to form the Potomac Exiles, hoping to set a new standard for rugby in the DC/Metro area. Both clubs have had their share of successes, both historically and recently. The Maryland Exiles have a USA Rugby 7s National Championship to their credit and have qualified for 7s Nationals two of the last three years. In regard to 15s, they made the playoffs in 2013 and finished one point out of the fourth and final MAC playoff spot this past season. PAC, meanwhile, captured a 15s National Championship in 1995 and have been a consistent presence in DI playoffs ever since they joined the Mid-Atlantic after years in the Super League. However, with a bigger picture in mind, leaders from both clubs thought the time was now to leave the rivalries behind and see what the teams could do together. “Both clubs have been able to consistently get to playoffs, but I think we both had trouble breaking through to that next level. So, I think we’re hoping that this merger will allow us to be more competitive when we move on through playoffs, make it through to that next round, and then be in serious contention for a National Championship,” said the newly-elected President of the Exiles, Mike Minchik. Read the rest of the story at Rugby Today.